In New York City's Spanish Harlem, detectives Madigan and Bonaro are given 72 hours by their superior to capture a hoodlum wanted for homicide in Brooklyn. "The Detective": One Cut Above The Rest. 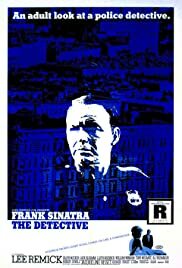 *****WARNING SPOILERS AHEAD***** Tough gritty crime drama with Frank Sinatra giving his best performance since his role in "The Manchurian Candidate" in 1962 as NYC detective Joe Leland. A cop with a consciences that turns out to be his own worst enemy. Det. Leland is assigned to a case where the son of a major contributor and political king-maker in NYC was murdered in what is thought to be a crime of passion. It seems that Teddy Leikman, James Inman, was killed in his upper East-Side bachelor apartment by his gay roommate the night before and there's an all-out manhunt to catch the killer. The police check out places that Leikman usually went to like bars waterfront piers and gyms and come up with someone that was seen hanging out with Teddy most of the time a young street hustler named Felix Tesla, Tony Musante. Tracked down to Coney Island in a boardwalk hotel Felix is apprehended and taken into the police station for questioning. A the police station Det. Leland's skillful interrogation of Felix gets him to break down and confess to Leikman's murder. Later convicted of murder and sentenced to death we see Felix strapped down in the electric chair and being executed. Det.Leland is one of the witnesses to Felix's execution. Some time later a young woman Norma Maciver, Jacqueline Bisset, sees Det. Leland at the police station about the death of her husband Colin, William Windon. Colin was killed when he jumped or fell to his death from the roof of the grandstand of a racetrack and his death was determined by he police to be a suicide, Norma says that Colin was murdered and wants Det. Leland to re-open the case. Det. Leland agrees to look into Colins death thinking that it would just be a routine matter for him to confirm the original police report and put the thoughts out of Norma's mind that her husband was murdered to rest once in for all. As Det. Leland begins to investigate Colin Maciver's death he starts to realize that he was wrong, shockingly wrong, about what happened to Colin Macvier! Even worse towards the end of the movie Det. Leland sees that in some way, in Colin Macivers suicide, he had a connection to his death that goes back to the Liekman/Tesla case that he solved some time ago! 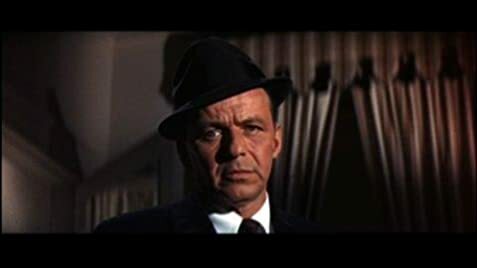 A good and well rounder story with very good acting especially from Mr.Sinatra makes "The Detective" stand out today above the scores of crime and police movies made back in the 1960's and even much later. The film really hits the mark with a ground-breaking script about issues, like closet homosexually and police and political corruption, that just weren't addressed in motion pictures back then. there's also in the film a good supporting cast, with future stars, that's just too numerous to mention here. Not to be overlooked is Llyod Bochner, Dr. Wendell Roberts, who in a small but important role reveals the truth about Norma's husbands, Colin Maciver's, tragic death that leaves Det. Joe Leland almost speechless! The shocking revelations that Dr. Roberts brings out has Let. Leland wonder if being a cop is worth all the dangers risks as well as surprises that the Teddy Leikman/Filex Tesla case eventually brought for him! And most of all it has Det. Leland also wonder if police work is what he's really cut out to do!